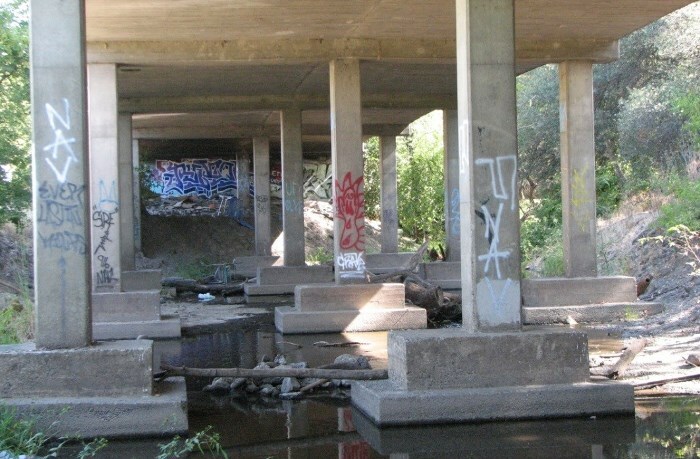 The City of Sacramento will begin repairs to the Roseville Road Bridge around May 4, 2015 with anticipated completion set for December 2015. Photo from City of Sacramento. 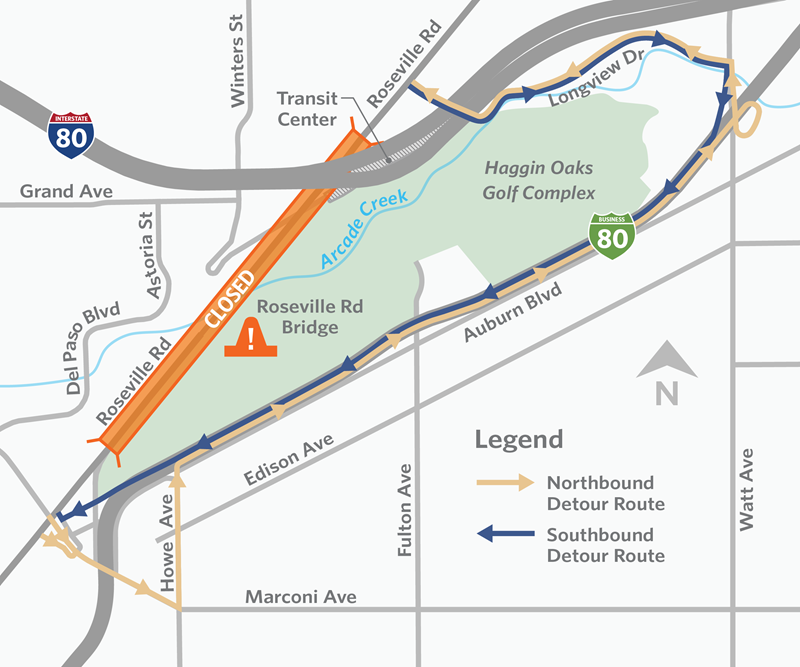 The Roseville Road Bridge, including approximately one half mile north of the intersection of Connie Way and Roseville Road, will be closed to all through traffic. Right on Marconi Circle to Marconi Ave. Right on Auburn Boulevard to Business 80. Exit freeway at Watt Avenue to Longview Drive. Left on Longview Drive to Business 80. The new bridge will meet current standards, improve safety for pedestrian and bicyclists with wider bike lanes and sidewalks, and improve hydraulics of Arcade Creek. The estimated total project cost is $7.4 million, funded through the Highway Bridge Program.